Previous: Inflation Beaters Index Updated! 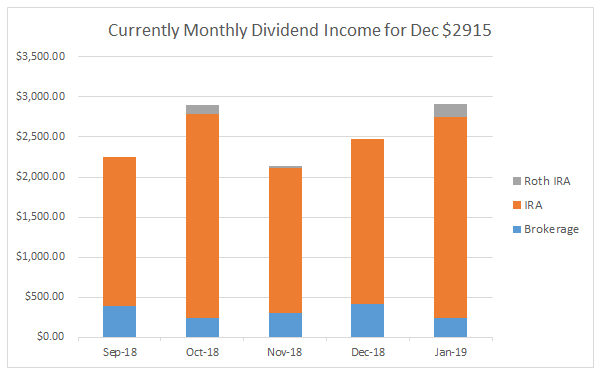 After 31 32 years of clocking in and out of work and religiously saving 10% annually every year, in good times and bad, I have decided to share my monthly dividend income to show what regular saving and investing can accomplish. 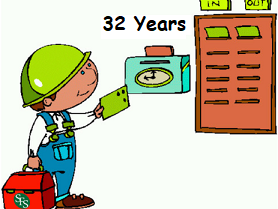 This month I made $2,915 a slight increase versus last quarters $2901. This was a marginal gain because of two factors. First is the lack of monthly income from my ETFs which make a double distribution payment in December and nothing in January. The second factor was the sale of Versum (VSM), Keurig Dr. Pepper (KDP), and Analog Devices (ADI). All three stocks were acquired from buyouts or spin-offs, however, their position in my portfolio was so small that it was becoming a labor to track all three so I decided to cut them loose. These sells reduced my January income by $17. Looking at my 3 year goal metric I improved my percent complete by 0.85% from last month and puts me back on target not just for my 3 year goal but also my annual goal of increasing my forward dividend by 12.5%. 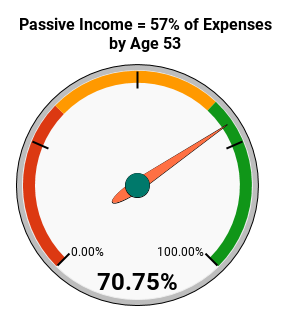 Back in November I posted about refining my goals and after analysis I discovered that I needed additional emergency cash and needed to save a minimum of $2,000 a year or $170/month until I retire. Well unfortunately I did not start this new goal well and saved a big fat $0 goose egg. The only consolation is that the funds were used to avoid credit card debt of which I am proud to say that I have now achieved 5 full months of carrying no credit card debt.